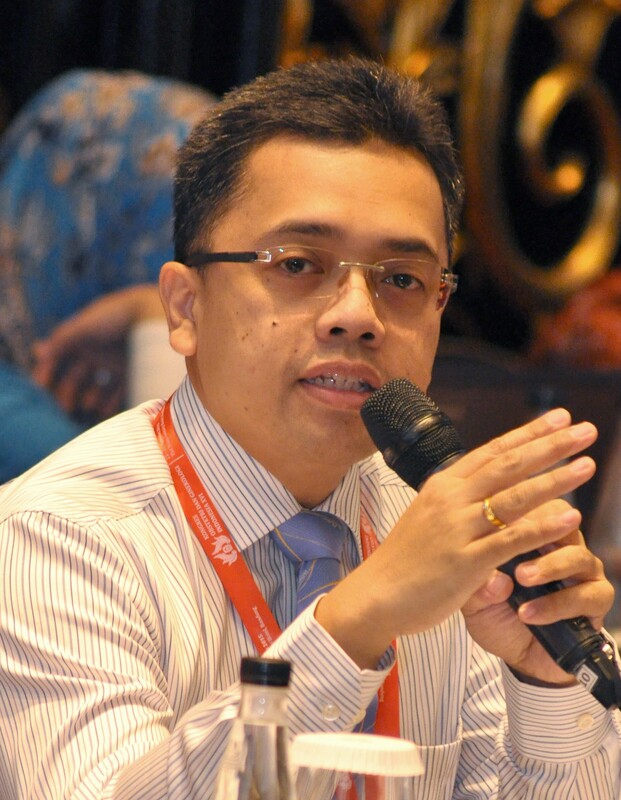 Dr Indra Adi Susianto, M.Si.Med, SpOG graduated from Diponegoro University, Indonesia in 1998 and did his specialization program in Obstetrics and Gynaecology from Kariadi General Hospital – Diponegoro University in 2006. He completed his Postgraduate Fellowship Training in Advanced Minimally Invasive Gynaecology Surgery for Laparasocpy and Endoscopy at KK Women’s and Children’s Hospital, Singapore 2007. He is presently working at the Minimally Invasive Surgery Subspeciality Gynaecology Unit at Anugerah Women’s and Children’s Hospital, Santa Elisabeth Semarang, former head of the obstetrics and gynaecology department of Ken Saras Hospital, Indonesia. He is one of the most experienced gynaecological laparoscopic surgeon in Indonesia with 10 years of experience. He has numerous research publications under his belt, involving not only endoscopic laparoscopy but also obstetric-immunology, and has been a guest speaker at numerous conferences as well as a trainer at various laparoscopy workshops, both national and international. II. EDUCATIONAL BACKGROUNDS 1. Postgraduate Fellowship Training in Advanced Minimally Invasive Gynaecology Surgery for Laparoscopy and Endoscopy on Kandang-Kerbau Hospital, Singapore, 2007 2. Obstetrics and Gynaecology Specialization program, School of Medicine Diponegoro University, Kariadi General Hospital, Semarang, INDONESIA, 2006 3. Magister Science and Biomedic School of Medicine Diponegoro University, Semarang, INDONESIA, 2006 4. Medical Doctor, Diponegoro University, Semarang, INDONESIA, 2000. 5. Bachelor Of Medicine, Diponegoro University, Semarang , INDONESIA, 1998. 6. High school, Semarang, INDONESIA 1993. 7. Secondary school, Semarang, INDONESIA 1990. 8. Primary school, Semarang, INDONESIA 1987. III. WORK EXPERIENCES AND CLINICAL EXPEREINCES 1. Hermina Hospital, Medical Staff of Obstetric & Gynecology Departement. Semarang. 2015 – present. 2. Santa Elisabeth General Hospital, Medical Staf of Obstetric & Ginecology Department and Medical Commite Staf. Semarang. 2011-present 3. Ken Saras International Hospital, Head of Obstetric & Gynecology Department. Ungaran, INDONESIA 2010-2016 4. Anugerah Women and Children Hospital. Staf of Minimally Invasive Gynaecology Surgery Subspecialty Department, Semarang, INDONESIA. 2006-present 5. Advisor of Making Pregnancy Safer, Dinas Kesehatan Kabupaten Grobogan, Purwodadi, INDONESIA, 2006 – 2010. 6. Fellowship Trainign program at Kandang-Kerbau Hospital . Minimally Invasive Gynaecology Surgery Subspecialty Department, Singapore, 2007 7. Kariadi General Hospital, Semarang, INDONESIA, Internship training program, since 2001-2006 8. General Hospital of Semarang City, Semarang, INDONESIA, Internship training program, 2001. 9. Tidar General Hospital, Magelang, INDONESIA, Internship training program, 2004. 10. Margono Soekarjo General Hospital, Purwokerto, INDONESIA, Internship training program, 2005. 11. M Ashari Hospital, Pemalang, INDONESIA, Internship training program, 2005. 12. RA. Kartini Hospital,Jepara, INDONESIA, Internship training program, 2005.